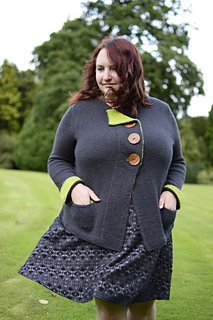 Welcome to the latest Eden Cottage Yarns Collection. This carefully curated collection drifts through the seasons; each beautiful design draws elements from the designer’s personal style and showcases our sumptuous Whitfell DK range. We wanted to create space for each designer to stamp their own personality within the collection, with us functioning as curators, or the chief enablers. We hope you fall in love with this collection as much as we have. 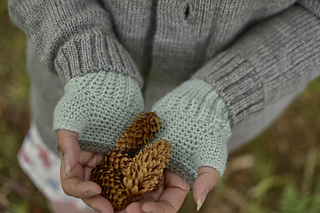 Comprising of a wonderful selection of garments and accessories, this collection features ten beautiful designs; each piece has a touch of Eden Cottage Yarns woodland-inspired whimsy. 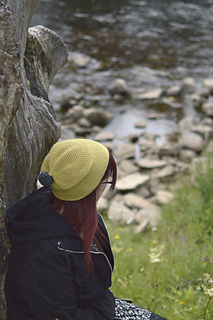 There are garments for women and children and a beautiful mix of accessories, including in true Eden Cottage Yarns style, items for crochet and knitting. Each piece has been carefully crafted to add a touch of warmth to your wardrobe, whatever the season. 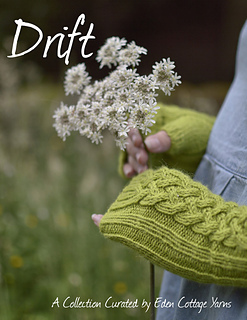 Whitfell DK is incredibly versatile, as shown in this glorious collection of designs. It can be used to make light fabrics with exquisite drape, perfect for warding off the chill on a cool summer evening, or worked to a dense and cosy fabric ideal for the depths of winter. The collection has been photographed in our beloved Yorkshire and we hope you enjoy the glimpses behind the scenes and the majestic landscape of the county we call home.